I started my beautiful journey with "ants" years ago when I was a kid of 15 years. I was extremely fascinated when I saw a group of Asian Weaver Ants (Oecophylla smaragdina, Fabricius, 1775) fighting amongst each other. What piqued my interest was not the fact that they were fighting, but the way they were trying to kill. 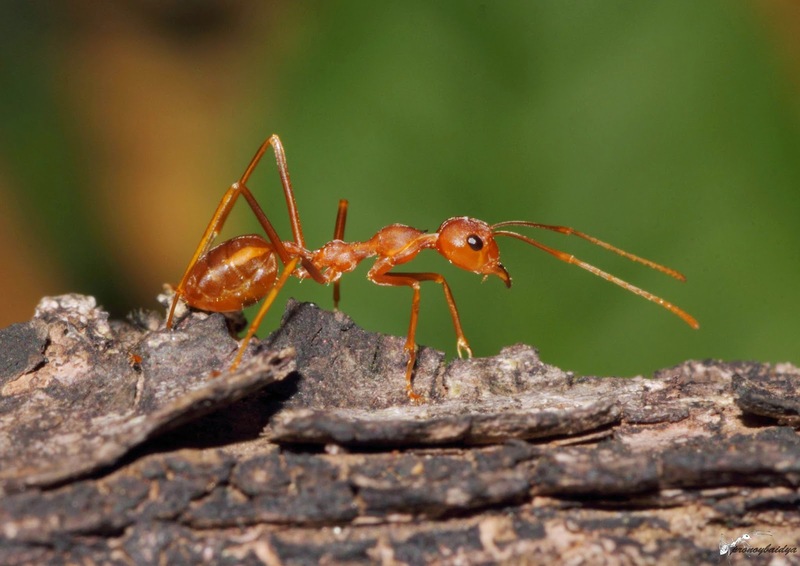 I still remember vividly 5 weaver ant workers holding another worker by its legs, antenna and simultaneously pulling at them till a point when the worker pulling at the antenna removed it from the worker's body. Subsequently the worker died a gruesome death with three of its legs pulled out. At that age, I was left wondering why they were fighting amongst themselves considering ants share a tight bond with each other, thanks to all the folk stories of my Grandmother (which to some extent is scientifically true) and why this killing was so ghastly. Without "Google", "Wiki" and other sources for searching anything to solve this mystery, my questions remained unanswered with my mind wandering to birds subsequently. Seven years after that incident I found myself in the University of Agricultural Sciences, Bangalore with the quest for learning about ants with renewed vigor. Today with a meager four years of studies and fieldwork trying to understand this dynamic group I stand mesmerized at the level of complexity within this group, both in terms of the evolution of their physical characters to their social set up, which varies from a parasitic life in some to mega colonies in others! Through this blog I wish to take my readers to a journey along with me as I go exploring this amazing world of ants. I will leave you with some photographs of the Asian Weaver ant and promise more interesting stuff soon..
Dude.. Thats some topic! Superb documentation and awesome clicks. Way to go mann..